For dynamic loads. For use with wire or solid shelving. Available with flanges at top left or right. MMBC-K-18-L 18" regular grey epoxy heavy duty single knob "C" brackets, left - for cantilevered shelving system. MMBC-K-18-R 18" regular grey epoxy heavy duty single knob "C" brackets, right - for cantilevered shelving system. MMBC-K-21-L 21" regular grey epoxy heavy duty single knob "C" brackets, left - for cantilevered shelving system. MMBC-K-21-R 21" regular grey epoxy heavy duty single knob "C" brackets, right - for cantilevered shelving system. MMBC-K-24-L 24" regular grey epoxy heavy duty single knob "C" brackets, left - for cantilevered shelving system. MMBC-K-24-R 24" regular grey epoxy heavy duty single knob "C" brackets, right - for cantilevered shelving system. MMNSBC-K-18-L 18" NSF-approved grey epoxy heavy duty single knob "C" brackets, left - for cantilevered shelving system. MMNSBC-K-18-R 18" NSF-approved grey epoxy heavy duty single knob "C" brackets, right - for cantilevered shelving system. MMNSBC-K-21-L 21" NSF-approved grey epoxy heavy duty single knob "C" brackets, left - for cantilevered shelving system. MMNSBC-K-21-R 21" NSF-approved grey epoxy heavy duty single knob "C" brackets, right - for cantilevered shelving system. MMNSBC-K-24-L 24" NSF-approved grey epoxy heavy duty single knob "C" brackets, left - for cantilevered shelving system. 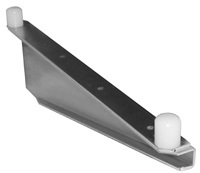 MMNSBC-K-24-R 24" NSF-approved grey epoxy heavy duty single knob "C" brackets, right - for cantilevered shelving system.